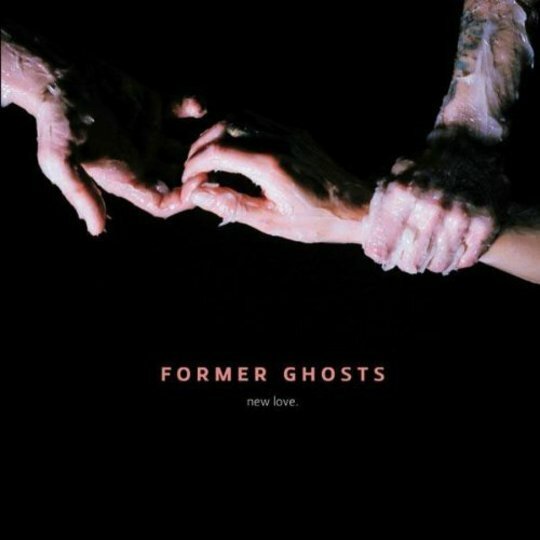 Former Ghosts are a band based on the solo recordings of Freddy Ruppert, with regular contributions from Xiu Xiu's Jamie Stewart, Yasmine Kittles of TEARIST and Nika Roza Danilova, aka Zola Jesus. To those of you reading who've already had the pleasure of being introduced to 2009's excellent debut Fleurs, you can probably just skip to the next paragraph if you like. But to those who've only been exposed to the above artists through the medium of hype, Former Ghosts are probably an intimidating concept given the absolute swarm of buzz that surrounds its four members, all hyperbole and blogging and genres like 'witch house', 'lo-fi', 'Joy Division' etc, etc. That applies to some/all/none of them depending on who you ask or what you read. PLEASE DON'T BE PUT OFF! Former Ghosts (and the various respective solo outings of its members) are more than worthy of your attention and done a disservice by this mire of labels and arguments over what is and isn't 'hip'. Just like Fleurs, New Love is dominated by Ruppert's contributions, with the others appearing intermittently, sometimes just for a verse or two (Kittles on 'Winter Love') or sometimes taking on the vocal duties entirely for a track (Danilova's 'Only In Time'). This is perhaps disappointing for those hoping for a more collaborative, 'full-band' approach to album two, but Zola was probably too busy recording however many hundred releases she's featured on already this year. In general, we find the format of this second record very much unchanged. New Love still boasts tracks that are deafeningly LOUD (see pretty much any song on which Danilova appears), but some of its best moments come when things are toned things back just a touch. 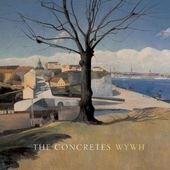 Notably on 'I Am Not What You Want', Yasmin Kittles' lovelorn murmur offers sharp contrast to the hollers and yelps of her vocals in TEARIST, and really helps to highlight her worth and identity within the group as an understated, achingly pretty foil to the more overt presences of her bandmates. Much like Fleurs before it, New Love isn't the most accessible listen. Raw, untreated synths and distorted beats don't exactly make for ideal headphone listening, while Freddy Ruppert's baritone/monotone whimper is quite jarring for the first few listens. Even though the production is abrasive, New Love isn't exactly lo-fi, even by the standards of the current crop of shitgazing glitterati; the scuzz of these tracks seems a definite aesthetic choice by the band rather than a result of necessity, and there's a clarity and smoothness here that Zola Jesus' solo work, for example, lacks. 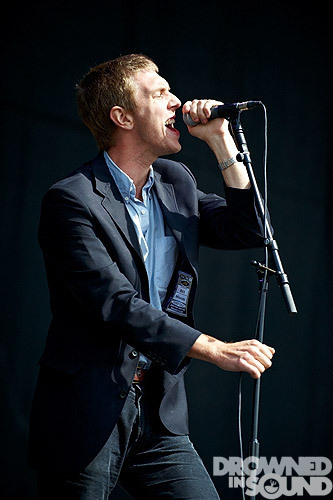 Despite the naivety of their melodies, the songs are sophisticated both in composition and arrangement. New Love sees Former Ghosts add an impressive batch of songs to their repertoire. There isn't much in the way of progression from when we last heard from them; but that was only last year. This is an engaging, rewarding listen that promises great things in the future from our four heroes. I'm sure it won't be long before we find out what those things are.